In a mega-city where the mysterious Company rules, history and knowledge have been suppressed and people live a grey life isolated from each other. Unemployed, Mr I struggles to sleep and make sense of life. When the Company offers him a new job, Mr I finds a new purpose. This is a work in progress. 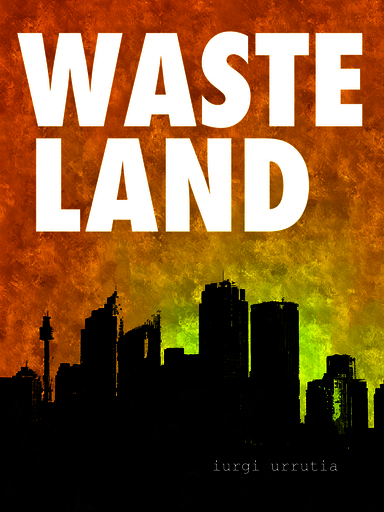 Be warned, Wasteland's a litte bit unconventional in that it is a novel, but it's also a collection of different stories. If you like a little bit of Kafka, a little bit David Lynch and love stories I think you'll appreciate this book. As this is a work in progress I would really appreciate feedback and I thank you in advance. I somehow missed your comment when it was posted and I just saw it. Thanks for your compliments about the writing. I hope you keep reading and hopefully you can also tell me what doesn't work for you. I've written about a third of of the story (it's not all published yet) and I hope to finish it this year. We'll see how I go. I'll check your writings too. Thanks. I just finished chapter 4, and I find this story very interesting. I enjoy how we find out about the main character very slowly and get to know him almost purely through his actions. Very well written. The Company is very ominous and creepy with their insidiously friendly black boxes. I love the tone of this story and the plot is compelling. I am intrigued to see where it goes. I am closely following 'Wasteland'. It is an excellently well written piece. I'm looking forward to the following chapters. Mr. I is a well thought of character whom I am looking forward to seeing develop further. Well done Mr. Iurgi Urrutia. I'm a fan. Why have I not taken that bus that will take me to you? Because I torture myself every night thinking of you. Filtering through the blinds the sun’s warmth cut through the early morning chill. Lying on the bed with both eyes wide open, Mr I’s eyes were fixed on the blinds observing how the light gradually and gently pushed the murky darkness of the night away. It had been another unsettling, sleepless night. One more to add the countless many that preceded it. Mr I remembered the days when sleep came easy but now the nights had turned into a racing, blurred collage of images and sounds that kept him ever awake. Shadows laughing in the dark, trains without a railway crossing a desert, trams finding their way through a foggy city, an empty parking lot filled with the thunder of a thousand cars and the cry of newborn babies struggling to breathe; they filled his nights racing through his mind. Thankfully, Mrs I always made things better. She knew how to calm his anxiety, how to make him aware of his cluttered mind, allowing him to take a step back and analyse the situation with some perspective. Her ability to pull him away from his thoughts and bring him back to reality kept him going but it was her glowing, gentle smile which gave him the hope that one day, these days of sorrow would be a thing of the past. As he turned to face her Mr I realised that she was gone. The sheets on her side were undone, open, as if she got up and left. He placed his hand where her body should’ve been and caressed her absence. The sheets were cold. “She left long ago” he thought as he listened intently to see if she was in the kitchen or the shower. Mr I wondered how she could’ve got up and leave without him noticing. Had he actually fallen asleep inadvertently? How could he not have noticed her slipping away? The lack of her warmth? The absence of her breathing? Mr I caressed her pillow imagining her face and breathed in trying to capture her scent but she was long gone. "Their silent words creep into my mind and I start losing my identity. Love becomes a blur of the past and I don’t recognise the me in the mirror. The chameleon’s poison runs through my veins awakening new feelings and changing my points of view." 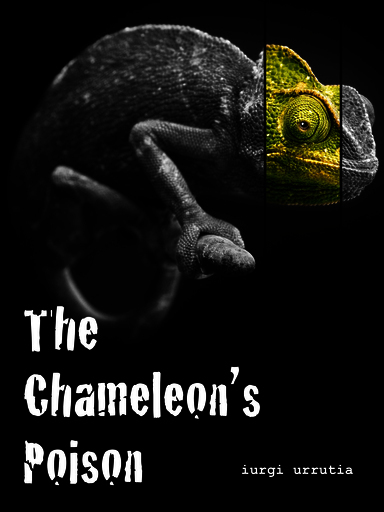 The Chameleon's Poison is a collection of poems blending existential themes with a romantic perspective of the world and life. The book explores the quest for purpose in life, the pitfalls of fear in a world we barely comprehend, our multiple identities and the masks we wear, the need to belong and our imperative need of hope.